I love making my own Mexican food at home and Old El Paso’s new Restaurante kits help make a great tasting dish that is not the same old plain ground beef taco. I can be my own #MexicanChef this way! We must eat Mexican food at least twice a week. I think I could live off of Mexican dishes. These new kits allow you to make fancy tacos at home. 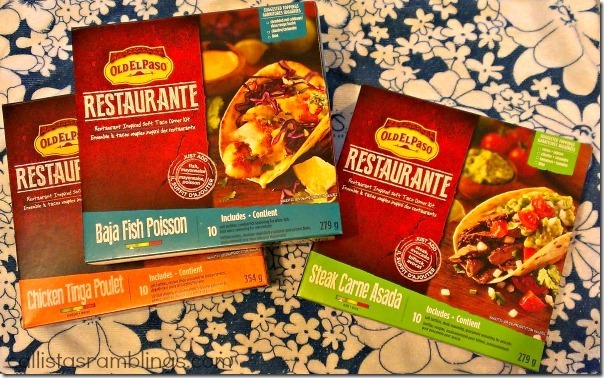 Old El Paso Restaurant Kits come in three types: Baja Fish, Chicken Ting and Steak Carne Asada. 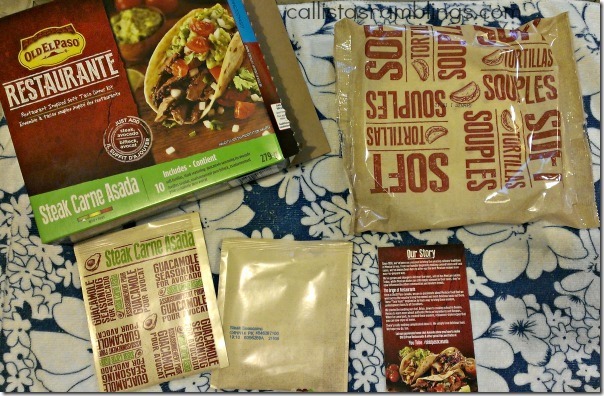 Each kit comes with 10 soft tortillas, seasoning mix for meat and seasoning mix for accompaniment. 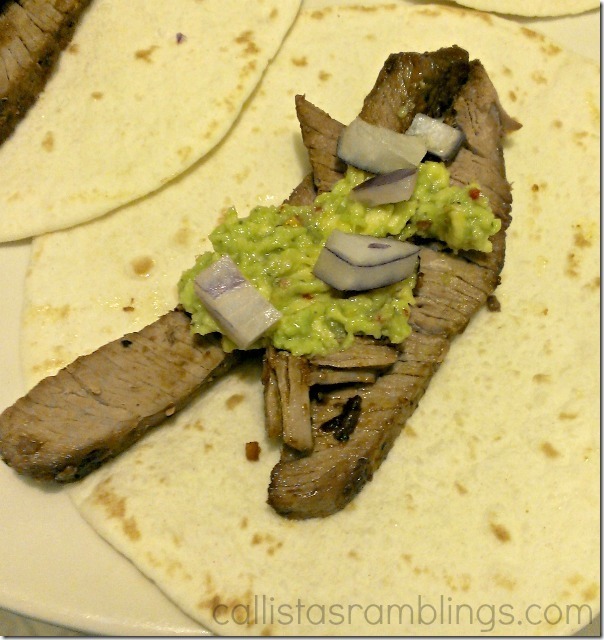 We tried the Steak Carne Asada which had a seasoning for the steak and a guacamole mix to add to my own Avocado. It also comes with a little card with information on the history of Old El Paso. The box says right on it what you have to provide and what other ingredients are highly recommended. One thing I noticed is that the oil, water and vinegar you need to add to the marinade mix is not included in the list of what you need. Luckily I had that on hand already! The box even includes steps such as making the guacamole first (just mash and mix), then preparing the marinade, frying the steak, letting it rest and slicing and serving. These Carne Asada tacos were DELICIOUS! We had made our own steak wraps before but I just threw some random spices on them and they still tasted bland. With this spice rub/marinade, I couldn’t stop eating pieces of steak even before I assembled them. That and I loved the guacamole. 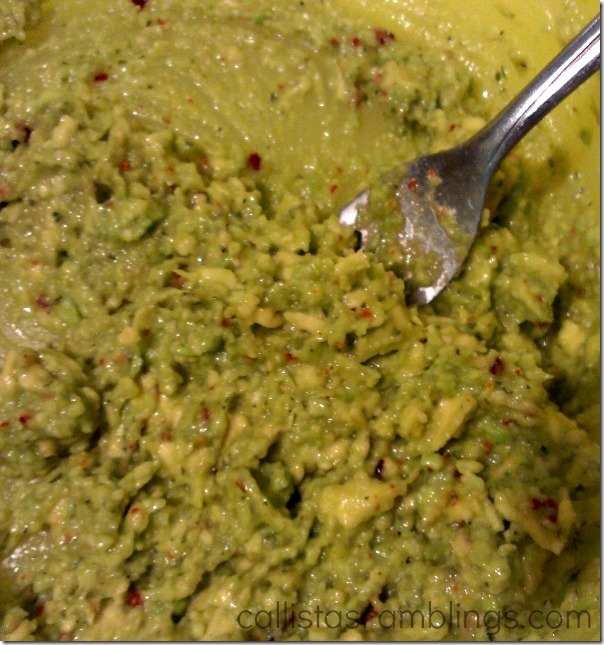 I was nervous at first because I’m picky when it comes to guacamole but this was SO good. I am definitely making this more often. The only things that made it better was that I left the small white tortillas that were included for the family and used my own whole wheat tortillas instead. I also added some shredded cheese because I can’t eat wraps without cheese. We will be trying the Chicken Tinga next, I can’t wait! 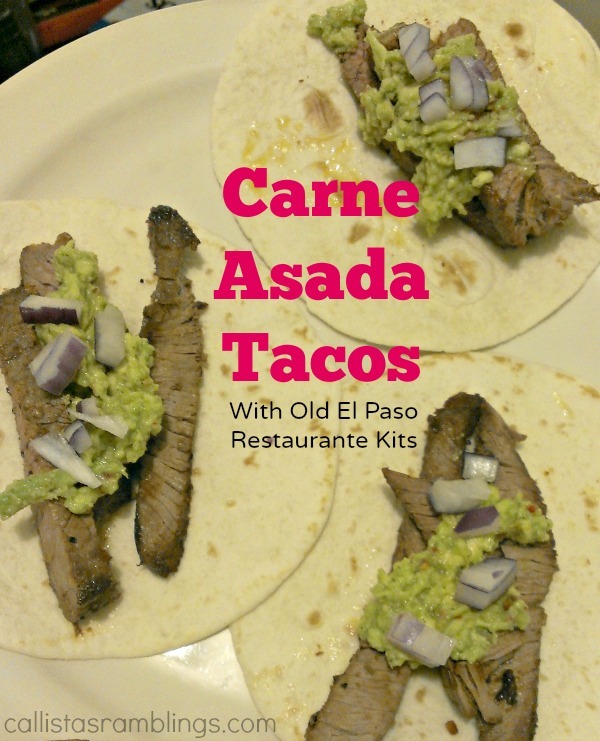 You can find the Old El Paso restaurant kits at most stores you can find groceries. Here’s your chance to try out the new Restaurante line from Old El Paso. Prize One of each Restaurante kit + $75 to buy the essential ingredients to go with them. Other Winners contact info will be shared with PR and shipping agency for the purpose of mailing your prize. Please allow 4-6 weeks from the contest closure date to receive your prize. See full terms & conditions on rafflecopter form.